Home - What are French Doors? When you’re in the market for new doors, there’s plenty of options to choose from – bi fold doors, patio doors or French doors. But, what’s the difference between them, what are French doors, and which should you choose? This article focuses on French doors, their history and how they’re used in our homes today. French doors or French windows, tend to come as a pair and are a light door that has glass panes running nearly the full length of them. They date back to 17th Century France when they were originally used as windows as they were the height of a room, but they eventually morphed into doors that tended to lead to balconies. Because of their height that allows a lot of light into a room, and that they can both be opened out meant they grew in popularity as people wanted to keep their rooms filled with natural light, and have an exit into the garden or balcony. Before there was electricity, French doors were a great substitute for rooms with no windows providing them with natural light. Originally these French doors would’ve been made from wood. Nowadays, they come in a range of materials including uPVC, wood and aluminium. 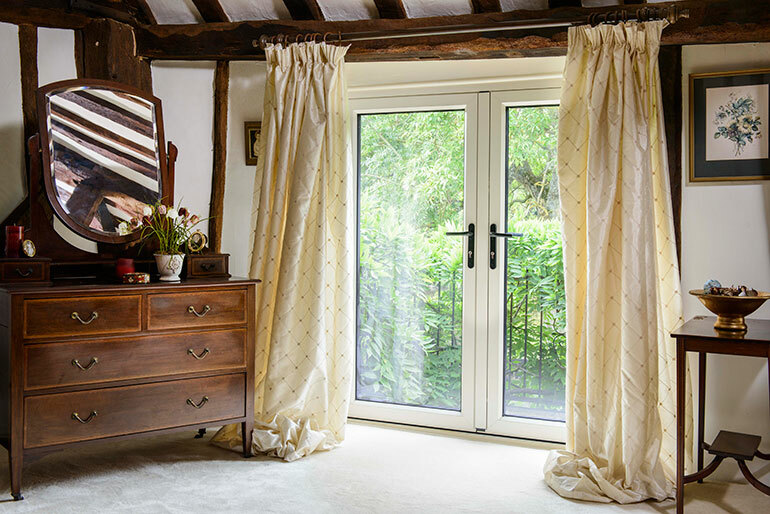 Their purpose today hasn’t changed much in over 300 years – they’re ideal for providing a room with more natural light and giving you a way to open up your home to your garden. These are a timeless classic that are perfect if you have the space to open them out fully. French doors are very safe and secure nowadays with the glass being toughened and occasionally laminated to prevent injury should they break. The security features can be as good as any other door – for example, Anglian’s French doors have shoot-bolts that penetrate deep into the frame, a Yale 3 Star Cylinder Lock and is ‘Secured by Design’! 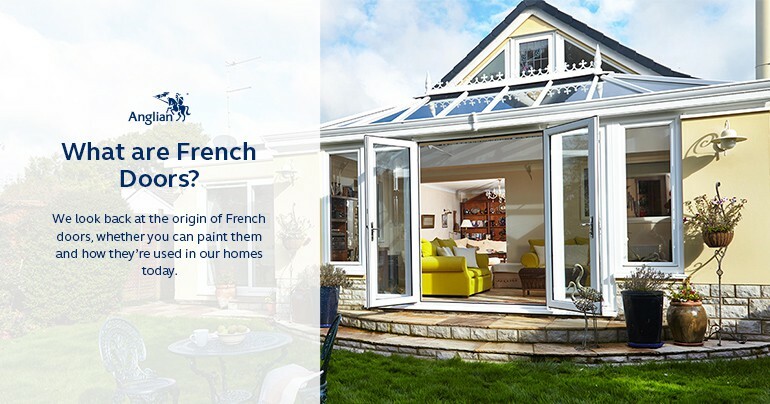 You can have a variety of colours for your French doors whether they’re uPVC, wooden or aluminium. If they’re a material that’s paint friendly, the options are endless; if they’re uPVC (which we wouldn’t recommend painting), look to buy French doors in a colour that complements the rest of your home, windows and doors. Replacing your French doors can be a stress-free experience, especially if you get a professional to do it for you! You can get a quote through companies such as Anglian Home Improvements, who now have a sale with up to 50% off doors!